The default insert to add to email. You can use <company> to insert the licensed company name automatically. 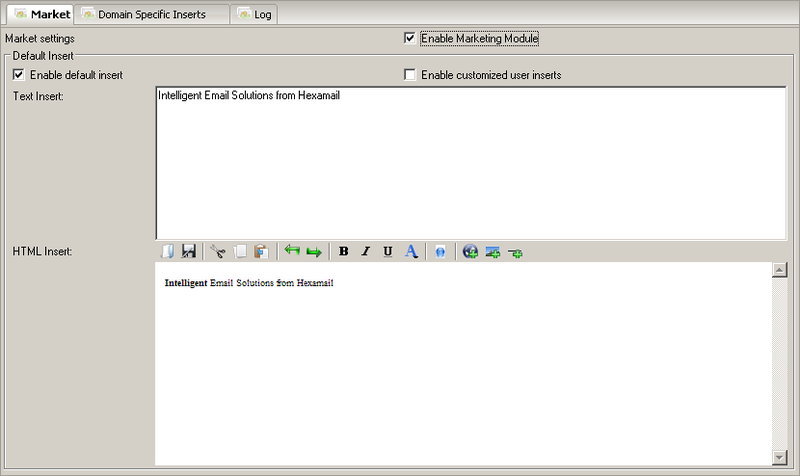 This insert is an HTML insert that is added to HTML email. If you do not specify an Text insert, the HTML insert will be automatically converted to text and used in any text email requiring an insert. Example: Click here for special offers!